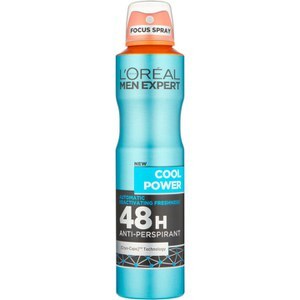 Designed with long-lasting reactivating freshness, the Cool Power 48 Hour Anti-Perspirant from L'Oréal Paris Men Expert contains cooling agents, which automatically reactivate when you most need it. 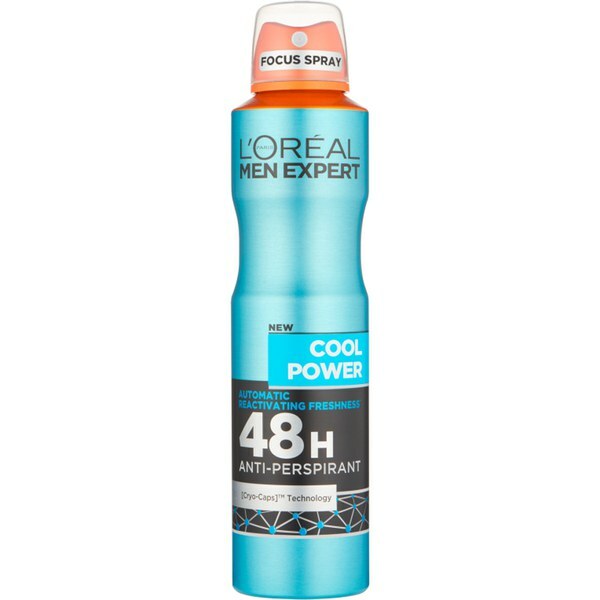 The deodorant spray helps to combat bad odours and control perspiration, anti-wetness. The cleansing anti-perspirant provides an ultra-fresh woody-mint fragrance. – E.W.